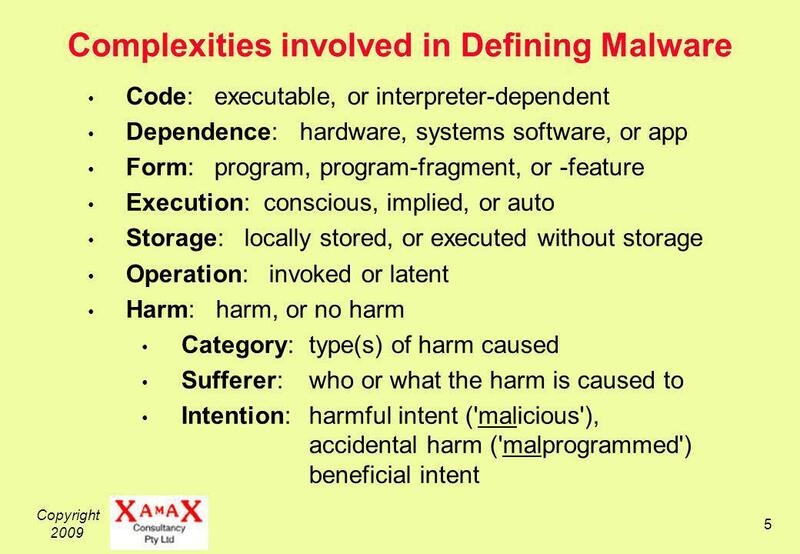 Copyright 2009 1 Malware Categorisation in Support of Malware Policy Analysis Roger Clarke Xamax Consultancy, Canberra Visiting Professor, CLPC UNSW, and. 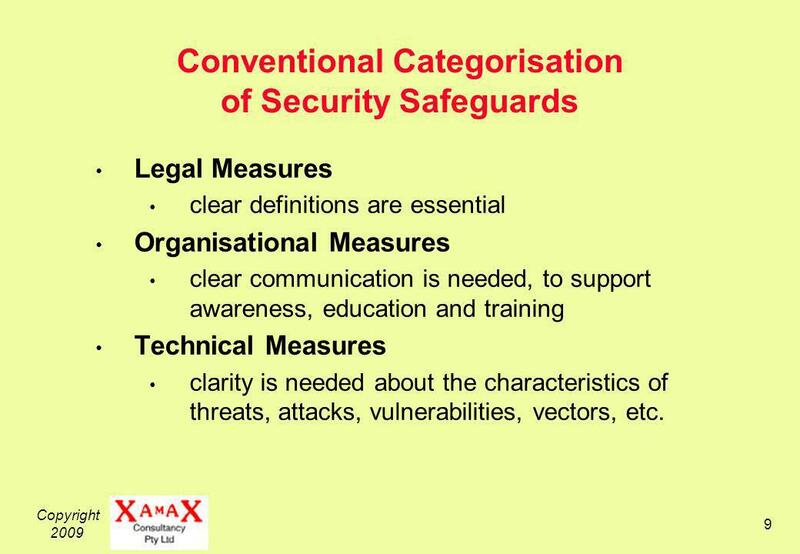 9 Copyright 2009 9 Conventional Categorisation of Security Safeguards Legal Measures clear definitions are essential Organisational Measures clear communication is needed, to support awareness, education and training Technical Measures clarity is needed about the characteristics of threats, attacks, vulnerabilities, vectors, etc. 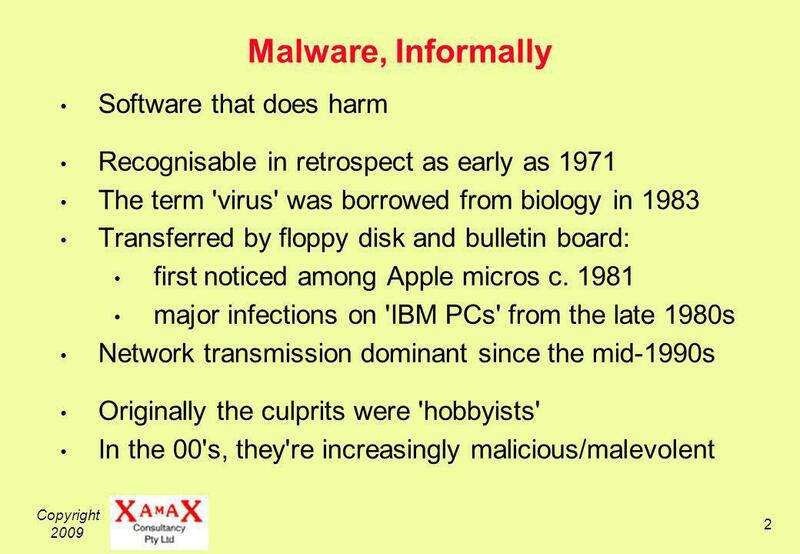 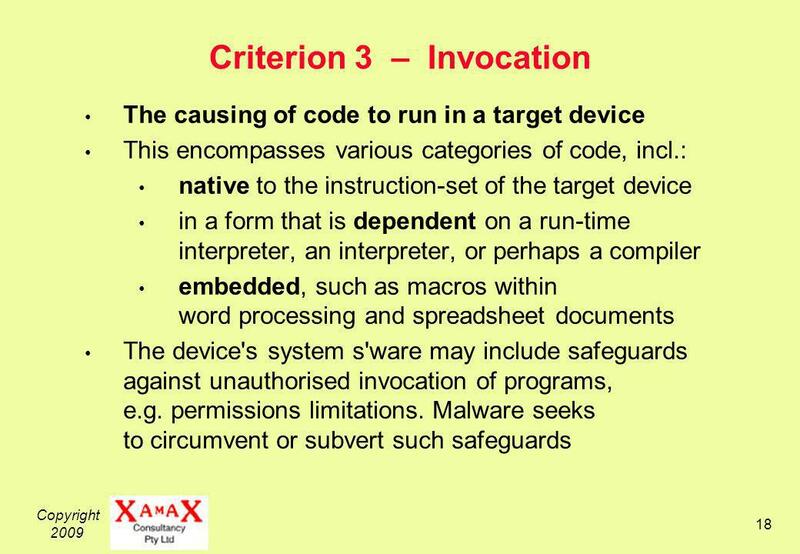 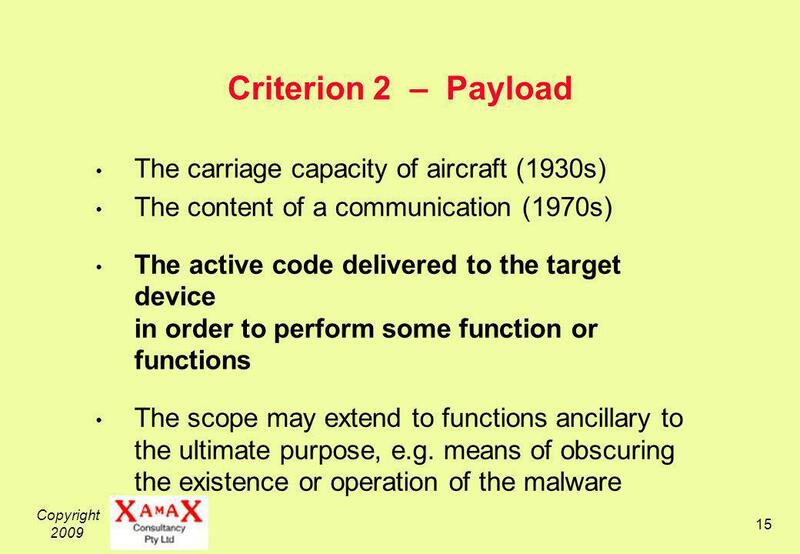 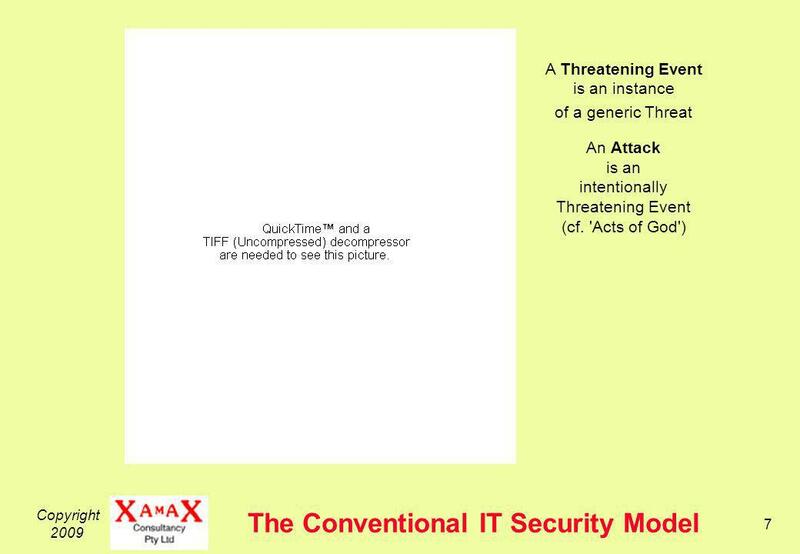 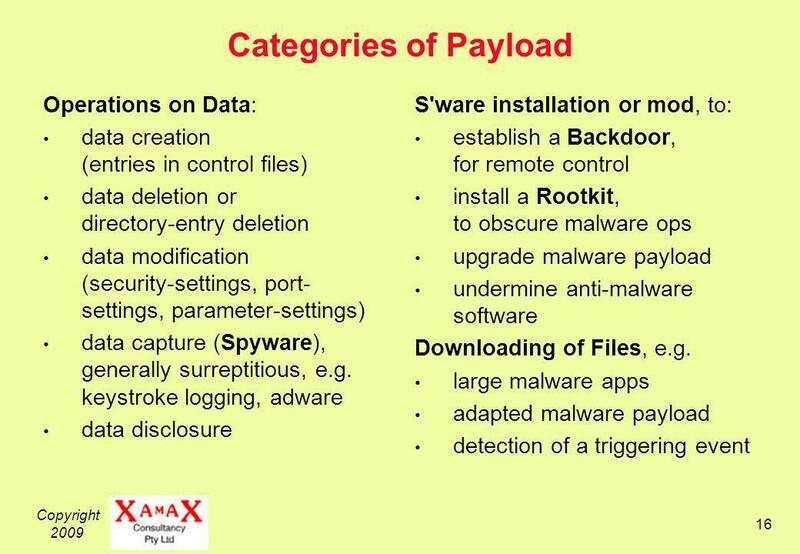 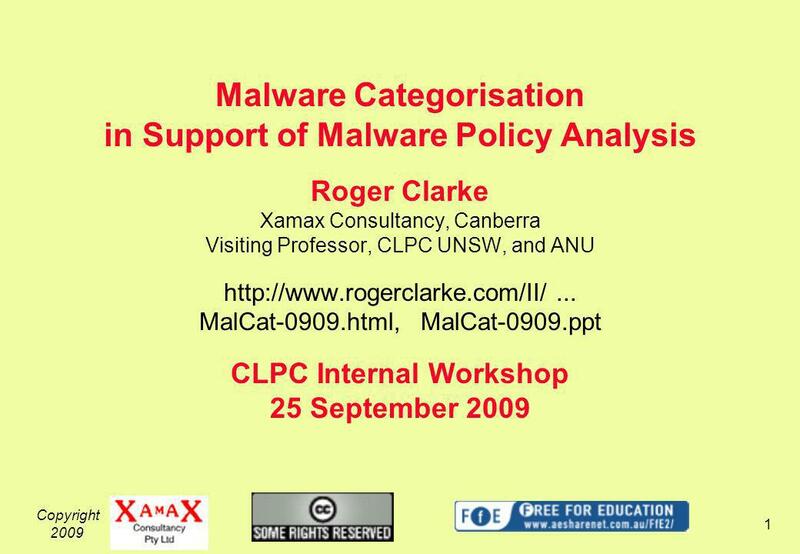 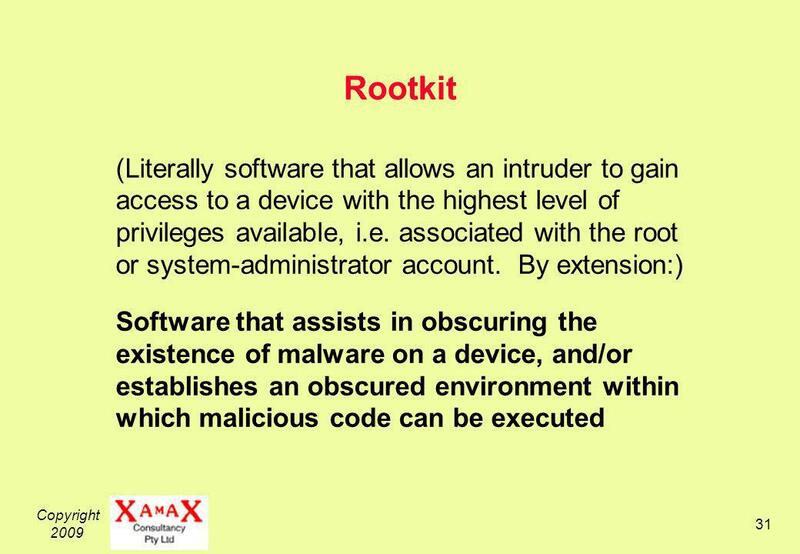 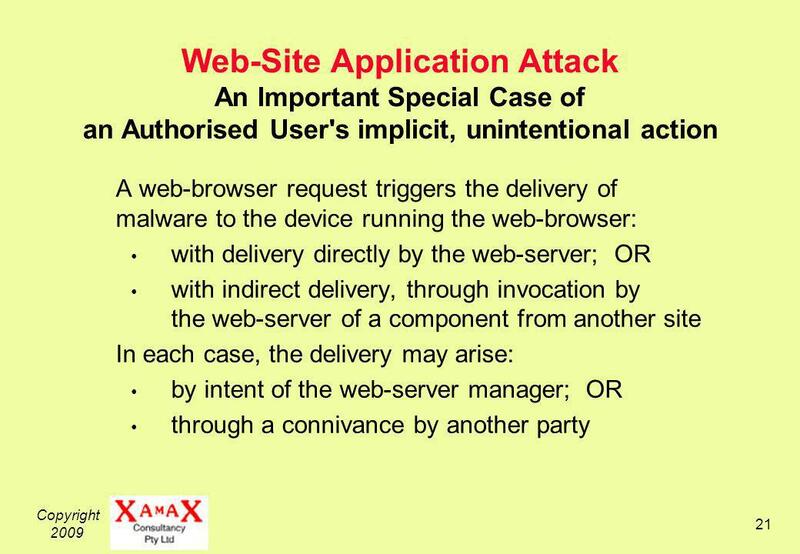 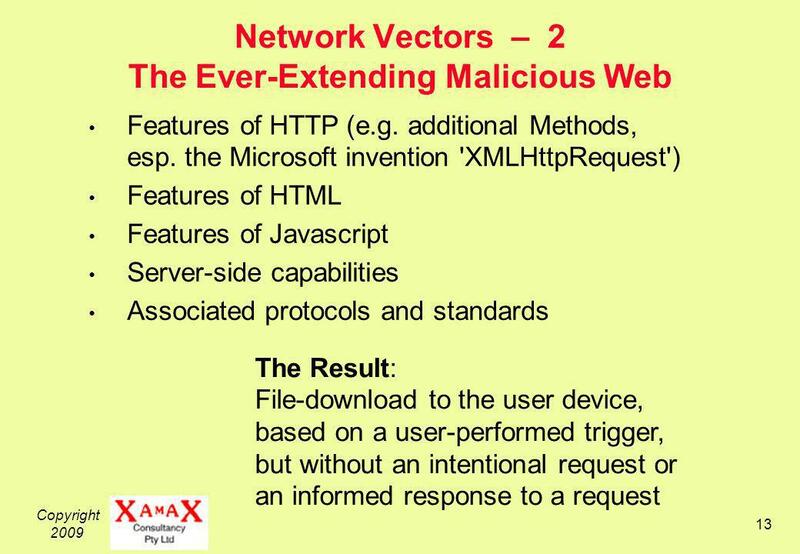 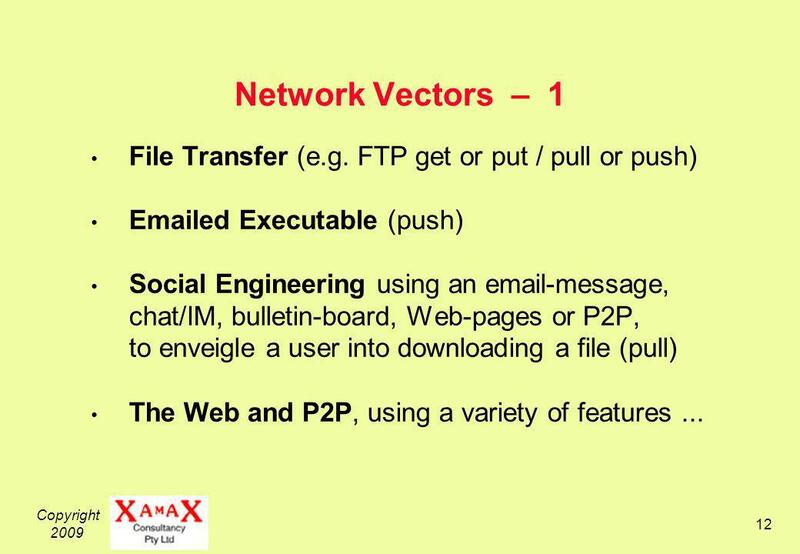 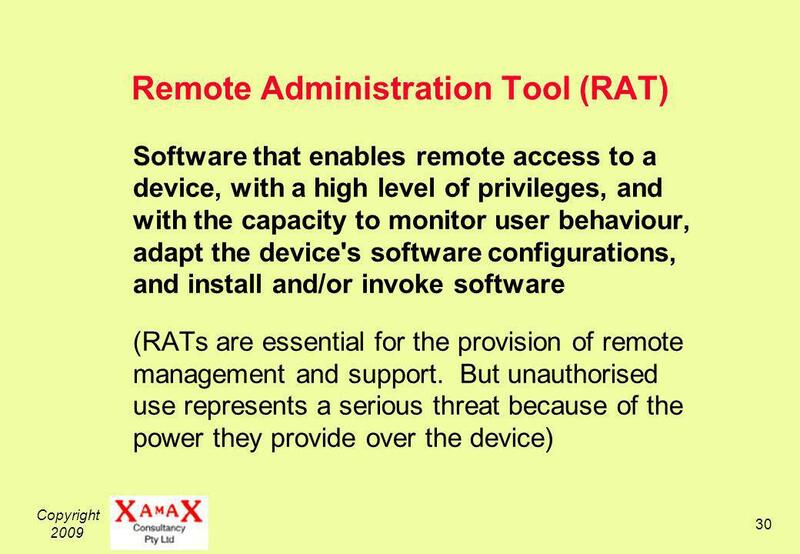 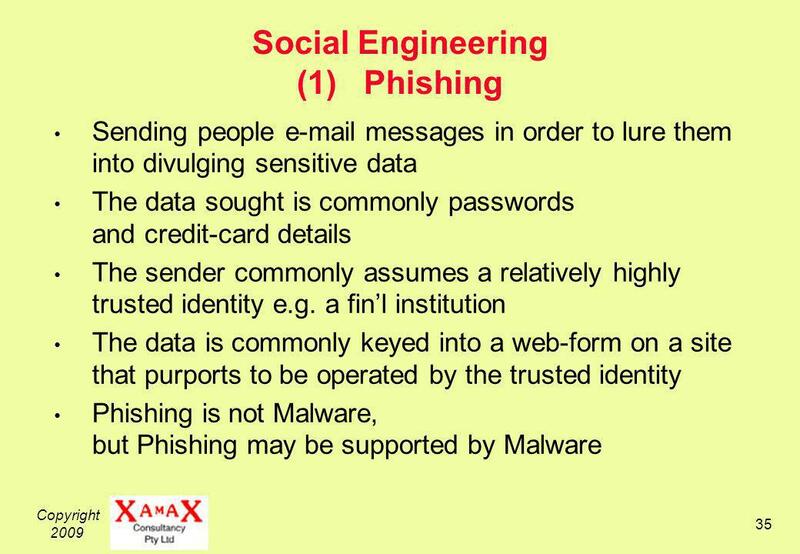 Download ppt "Copyright 2009 1 Malware Categorisation in Support of Malware Policy Analysis Roger Clarke Xamax Consultancy, Canberra Visiting Professor, CLPC UNSW, and." 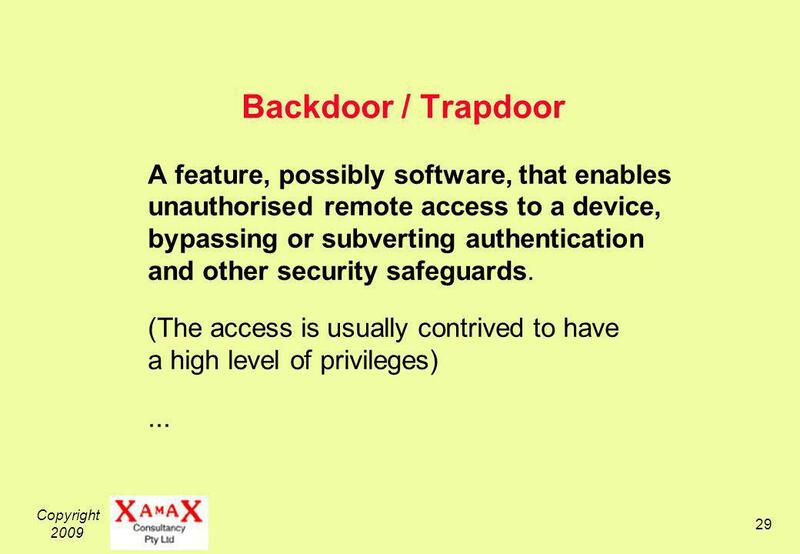 Providing protection from potential security threats that exist for any internet-connected computer is termed e- security. 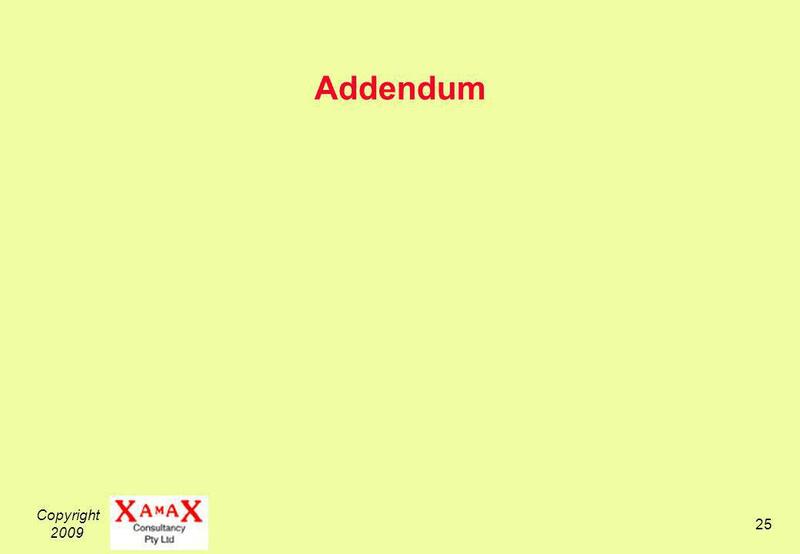 It is important to be able to. 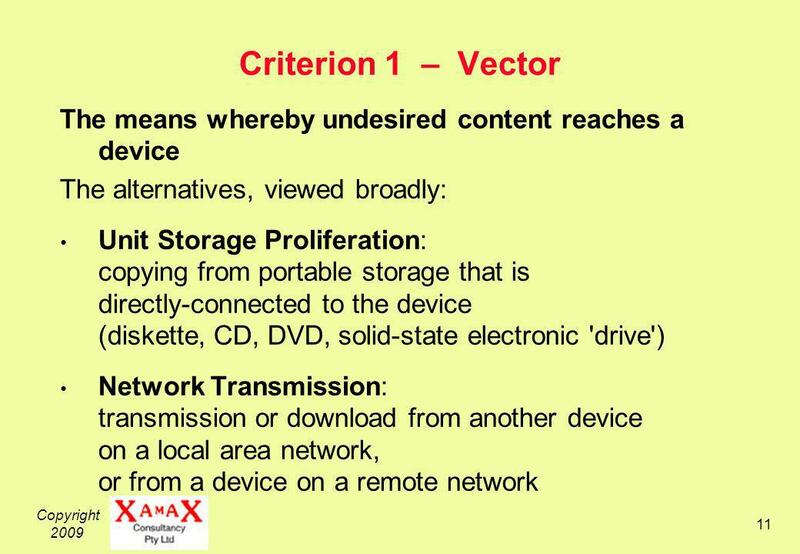 Higher Computing Computer Systems S. McCrossan Higher Grade Computing Studies 8. 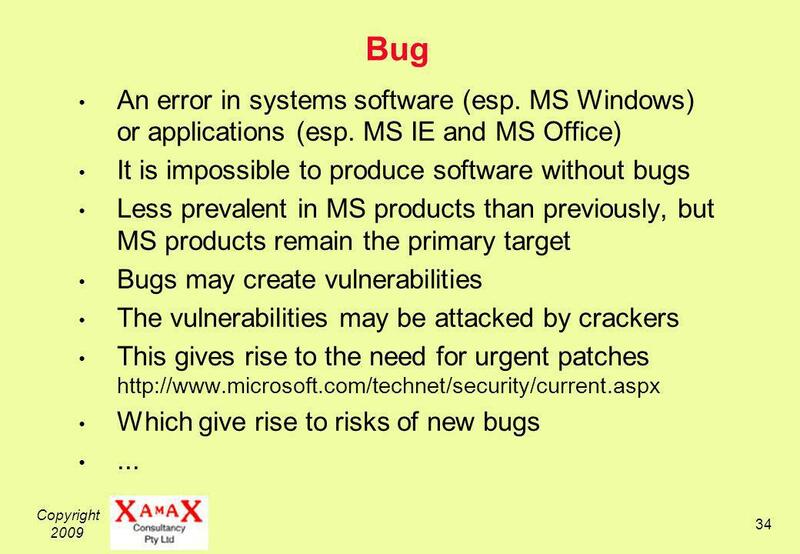 Supporting Software 1 Software Compatibility Whether you are doing a fresh. 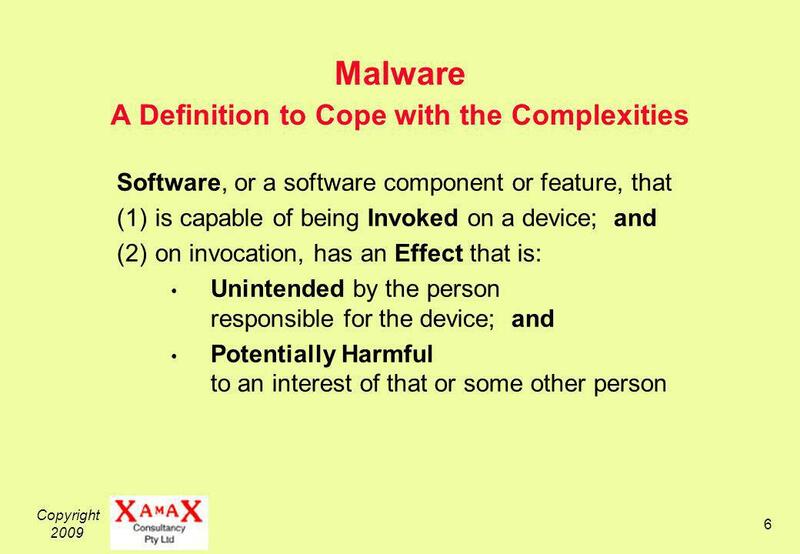 Thank you to IT Training at Indiana University Computer Malware. 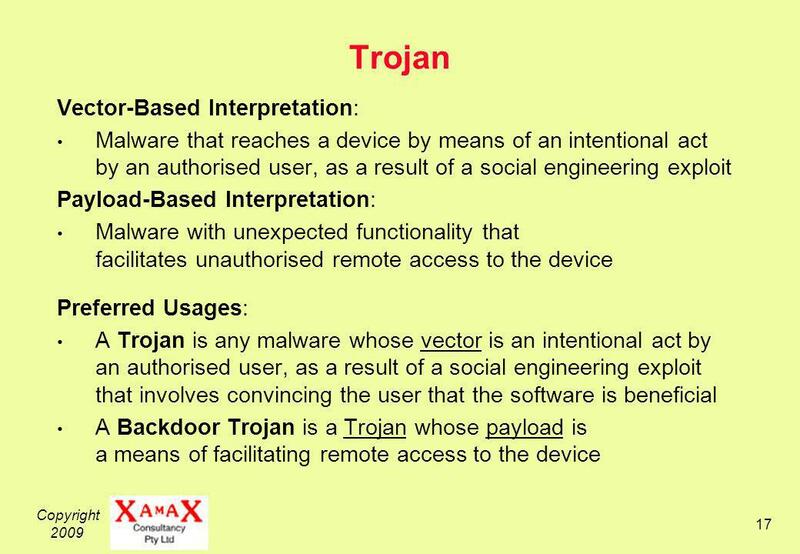 Information Security Management Chapter “We Have to Design It for Privacy and Security.” Copyright © 2014 Pearson Education, Inc. Publishing. 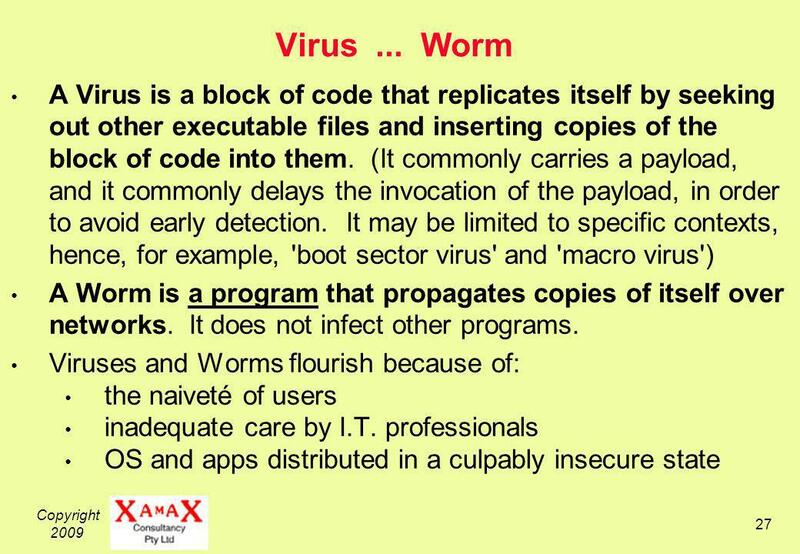 Protect your PC virus, worm, Trojan horse, phishing, spam, botnet and zombies, spoofing, social engineering, identity theft, spyware, rootkits Click. 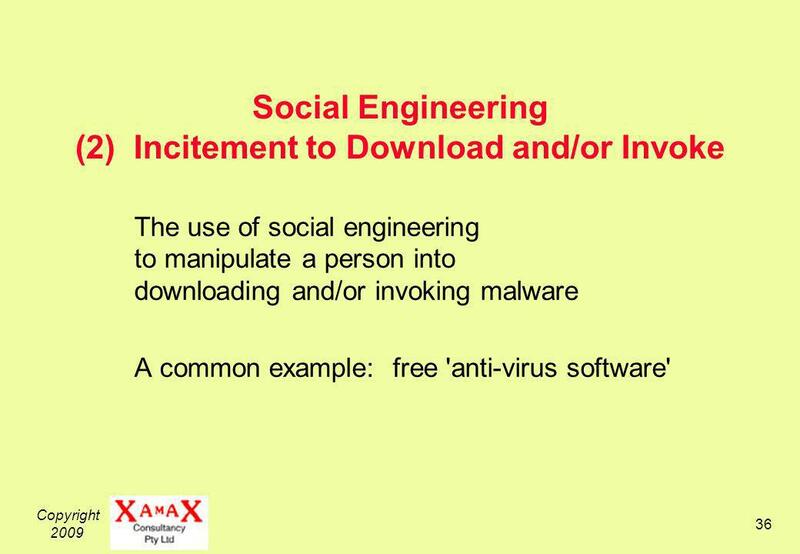 Copyright, Can Mobile Payments be 'Secure Enough'? 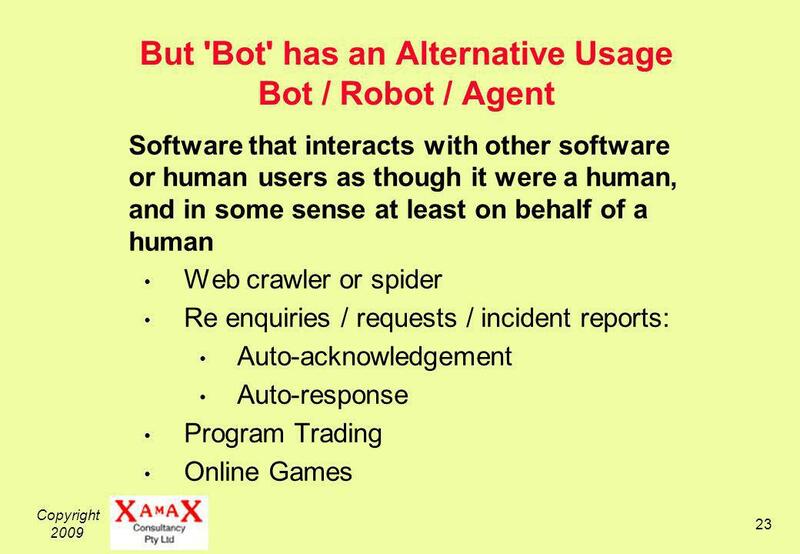 Roger Clarke, Xamax Consultancy, Canberra Visiting Professor in eCommerce at Uni of Hong. 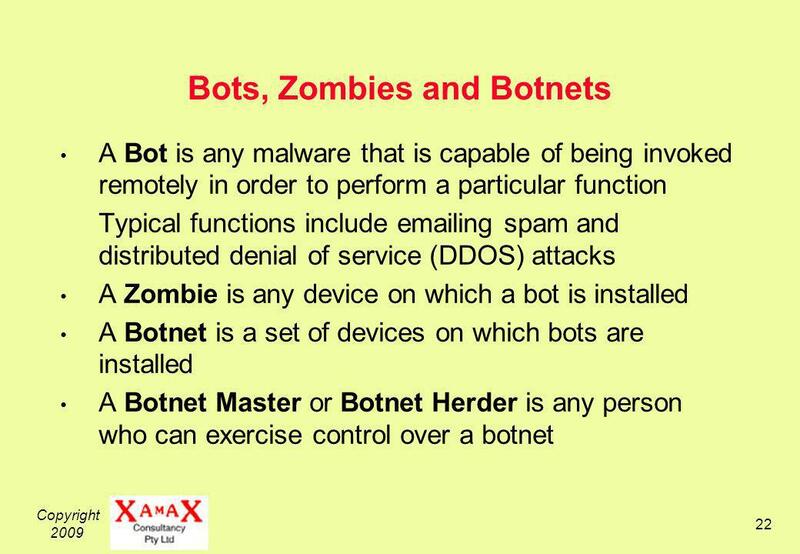 Cyber X-Force-SMS alert system for E-mail threats.